I know it's a bit self-indulgent but thought I would share my success at a recent 4 day rally (social tour) around Northern Victoria last week-end. Very nice! Any more details about the rally? Probably some good driving and stories there. Well, thanks for your interest, it was a bit of an exaggeration calling it a rally. It was a four day drive with other car enthusiasts and their wives from Melbourne via the Victorian high country and the wine district of the King Valley to Albury on the banks of the river Murray on the New South Wales/Victorian border. The scenery and winding country roads are proper sports car territory. We belong to a social car club (no racing) the main feature being the huge variation of cars involved from modern Ferraris to bug-eye sprites, we get up to 80 cars on the monthly breakfast runs. 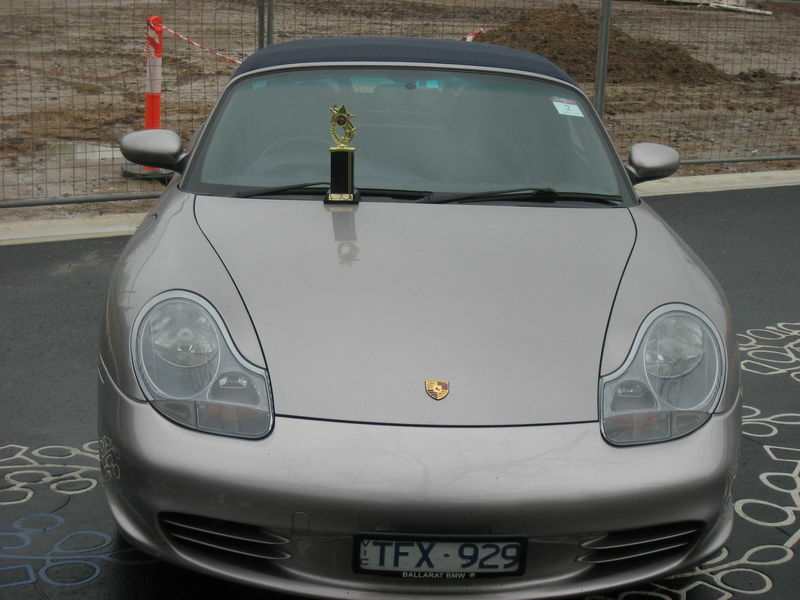 The award I got was from a static display as part of an event organised in Albury, nothing to do with me being the greatest Porsche driver since Derek Bell. The Albury event included plenty of food and wine as well as touring the lovely countryside between Albury and Beechworth. Yes, triumpyal, are you a member of the escape group? If not put an enquirer into YouTube escape motoring there are a couple of videos of our runs there, if not.